The 2018 Acura RDX interior design and features elevate it above the average crossover, making it a smart choice for the driver that needs a dependable commuter, a versatile family vehicle, and something that can haul the clubs to Harbor Links Golf Course. No matter where you’re headed behind the wheel of the RDX, Acura has ensured you have the amenities to arrive there in comfort and style. Many of the same features and specs have carried over from 2017, which is no surprise to us – our Roslyn drivers were fans of that model year too. We’ll begin with seating. In addition to its five-passenger seating ensuring abundant space for you, family, and friends, the 2018 Acura RDX interior gives everyone room to stretch out with a total of 103.5 cubic feet of passenger volume. Plus, the new RDX also looks strikingly handsome inside, with its leatherette-trimmed sports seats and interior trim, available perforated leather-trimmed interior, and leather-wrapped steering wheel. Comfort moves beyond climate control in the RDX with heated front seating and available ventilated front seats. At the same time, the new RDX also gives enough space to fit your luggage, too, offering up a cargo volume of 26.1 cubic feet behind the second row and as much as 61.3 cubic feet when the second-row seats are down. What this means is that you shouldn’t have to worry about making a choice between passengers and their bags, unless you’re folding down those rear seats for larger cargo. In addition to all this, you’re also going to be able to set the cabin’s temperature according to your preferences, with automatic, dual-zone climate control that allows you to keep the car warm and toasty in the winter and cool and breezy in the summer. You can also look forward to an air filtration system that prevents allergens from entering the cabin and thus keeps everybody happy and sneeze-free throughout the drive. Lastly, the new RDX is also impressively versatile, with an easy-fold-down 60/40 split rear seating system that allows you to choose for yourself how to apportion the space inside and whether you want to create more room for luggage or more for passengers. Fold down part or all of the rear seat as needed, making room for small furniture like desks and tables or helping pack up one of the kids for their first semester at college. If you’re a Port Washington, Roslyn, or Manhasset driver and you want to experience unforgettable luxury of an Acura, you should sit in the driver’s seat and see the 2018 Acura RDX interior for yourself. 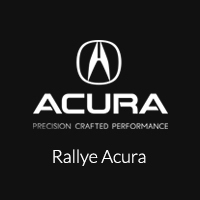 Schedule your test drive at Rallye Acura in Roslyn. Contact us today to let us know you want to see a new Acura firsthand.